Roy Hodgson has dismissed any notion that sweeping changes will be made to the England team after their disastrous World Cup campaign. England were eliminated from Group D with just one point following defeats to Italy and Uruguay and a draw with surprise package Costa Rica after their exit had been confirmed. Widespread criticisms of England's style and the talent available to Hodgson have followed, but the former Liverpool boss does not believe major surgery is required. Hodgson, speaking to BBC Radio Five Live, insists natural development will be enough to get England back on track as they prepare to start their Euro 2016 qualifying campaign against Switzerland on Monday. When asked if England had learned lessons from their dismal offering in Brazil, Hodgson replied: "Unfortunately not, and we've been racking our brains. "It'd be nice to say there's been lots of lessons but there are more minor ones. "We've got to be aware when people talk about being more streetwise, I've never quite understood what street wisdom really is. "Those types of minor criticisms or suggestions, they've all got some sort of relevance I guess. "You've got people suggesting we've got to commit more fouls and stop people in their tracks - I'm not even 100 per cent certain that's something you coach, it's never featured in my coaching sessions. "But I think as players mature and play Champions League football and play in the Premier League every week and play international football these sort of lessons come automatically. "They come as you get older and more experienced and as you harden up as a footballer. "It would be nice [to say] from the World Cup we’ve learned this major lesson but our world Cup really was the one game against Uruguay, we've got to be careful that we don't consider throwing the baby out with the bathwater." 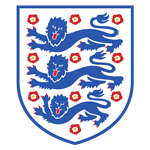 Hodgson also admits that he is open to finding a role in his coaching set-up for former captain David Beckham, who expressed his interest in taking a role within the Three Lions on Sunday. "Someone of David's stature, with his qualities and personality, I'm 100 per cent certain if he can find the time to lend his presence to the FA they would be happy to find a role for him," he added. "If he could make himself available for England in some way or another I have no doubt in my mind that [FA chairman] Greg Dyke and [FA general secretary] Alex Horne would welcome his presence within an England capacity." "What are you waiting for? Sign up for UEFA’s European Qualifiers Fantasy Football and Predictor now."